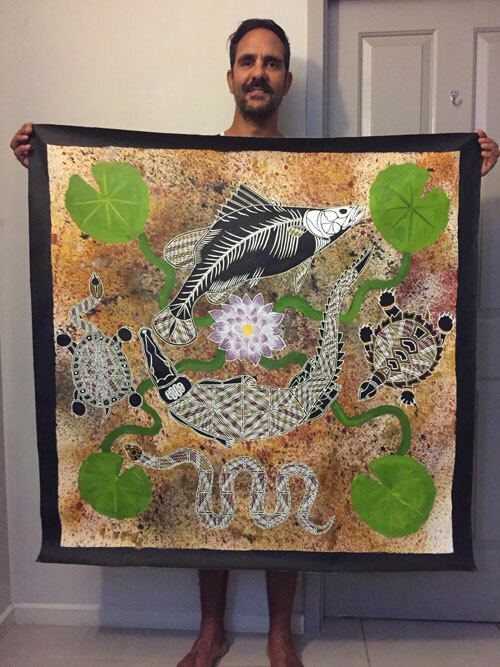 Sheril is a senior traditional owner of Kakadu National Park. 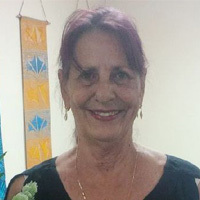 She was born in Darwin, Northern Territory 4th July 1952 to Paddy Cahill Nayingul and Nida Emma Vaughton-Cahill who had a total of 6 children. Most of Sheril’s family and extended family live in Kakadu National Park, Gumbalanya and in-fact Sheril grew up in the bush feasting on foods such as yams, berries and bush tucker. She attributes much of her design work and creativity to this upbringing. Sheril’s father Paddy was born in the bush and could not read or write but rumour has it that he spoke a total of 7 languages including Chinese! Whilst growing up with culture and business, Paddy hunted bullock, crocodile and buffalo with much of this going to Darwin and then exported overseas. The Cahill family has a long history in Kakadu National Park and Paddy Cahill Snr has Mt.Cahill and Cahill’s crossing named after him which are situated on the East Alligator River. Today Sheril resides in Darwin and takes an active role in Kakadu Tiny Tots, her daughter Kylie-Lee has helped realise her dream by creating Kakadu Tiny Tots. 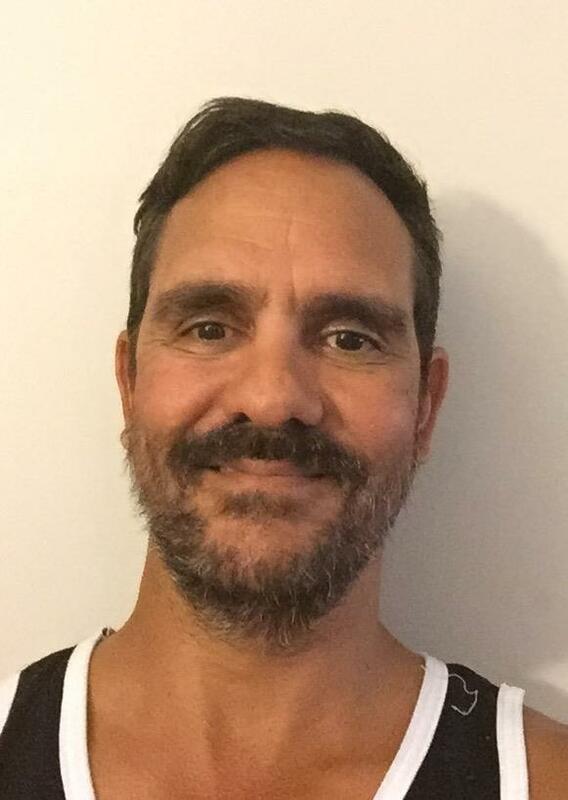 Dale Austin was born in Canberra in 1976 to a English mother who came to Australia when she was 3 & a Bininj father who was stolen from his mother at a unknown age. His mother Christine Pullman was evacuated after cyclone Tracey to Canberra where she meet his father Walter Austin. He lived there for 14 years until he the family moved back to Darwin. Dale spent a lot of time going bush with his father and hunting out on his country in Kakadu. Walter Austin past away in 1992 when Dale was 16 years old & this had a huge effect on him.